Robert: Vlad the readers at SimHQ and I would like to thank you for continuing to update us on current developments at Graviteam. Vladimir: It is my pleasure to provide the readers at SimHQ and the fans of Graviteam with these updates. Without the support of the fan base, we would not be able to do what we are passionate about. 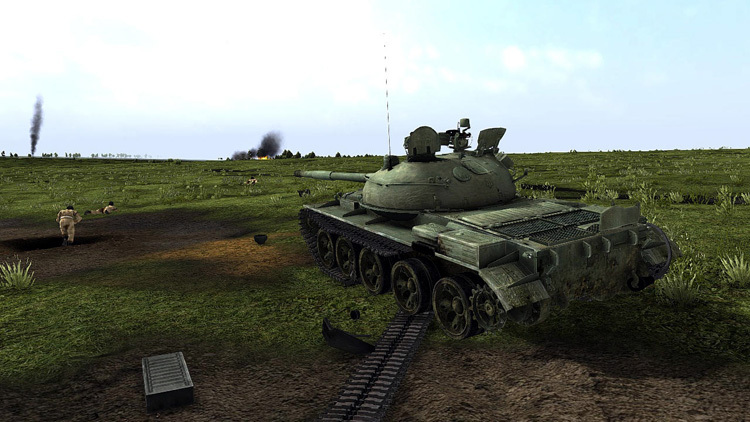 Robert: Graviteam’s new upcoming release Steel Armor: Blaze of War caught a lot of people by surprise. Could you elaborate a little on Graviteam’s choice in going from WWII armored conflicts to more modern armored conflicts in Steel Armor: Blaze of War? 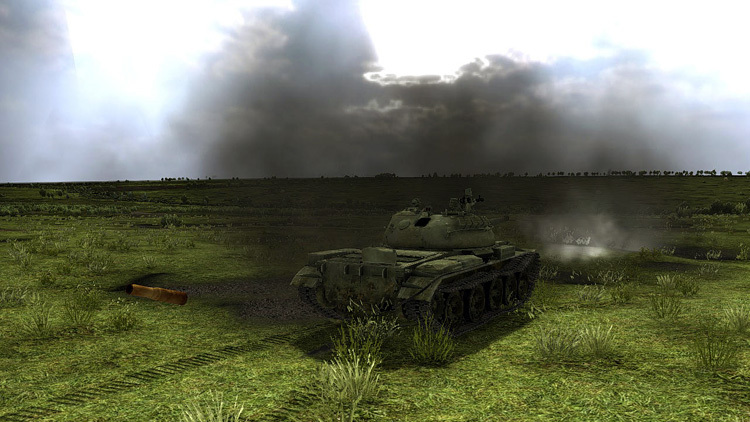 Vladimir: After the release of Steel Fury: Kharkov 1942 many players voiced much interest to us in having a modern armor simulator to play, along with the conflicts they participated in, such as in T-72: Balkans on Fire. And in my humble opinion the armor and conflicts we’ve chosen for Steel Armor: Blaze of War really have some quite interesting features from the gameplay perspective. Robert: To follow up a little on that last part, why did you choose the conflicts in Afghanistan, Iran and Angola as the background setting for Steel Armor: Blaze of War? Vladimir: These were the conflicts where modern armored units were used most massively since the Vietnam and Korean wars. And at the same time, the different ways armored units were used and the nature of battle actions themselves differed quite a bit in these 3 regions. 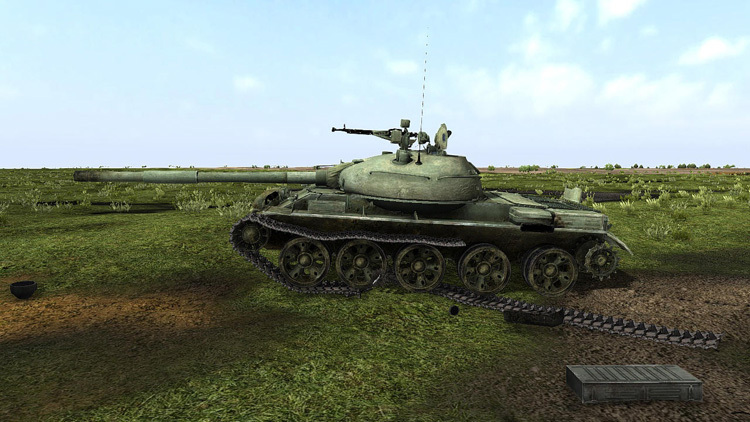 Robert: Can you elaborate how Steel Armor: Blaze of War differs from the older T-72 Balkans on Fire and Steel Fury: Kharkov 1942 from the player’s point of view? Vladimir: We tried to simplify the tank and its crew management, and to bring it closer to the real work of the battle team at the same time. More than that, the accent has shifted from the separate tank or crew member to managing larger mechanized platoons and combat troops. And the most the important feature… we added the tactical component to the battles. Each mission is not just a predetermined script. How each mission unfolds is determined by the player’s and the opponent’s movements on the operational map. Robert: Sounds like you have combined some of the gameplay features of Steel Fury: Kharkov 1942 and Achtung Panzer: Kharkov 1943 in a modern setting. Is that a fair assessment? Vladimir: Yes, that’s the way it happened. Intentionally on the one hand — players have been asking to add the possibility of “RTS-styled” managing techniques and infantry. That is exactly what is added. This is a well-tuned and, I hope, an interesting game feature from the tactics simulator. On the other hand, the tank simulator is based on the engine and game mechanics of the tactics simulator, which does affect it in its way. Robert: A little more on the hypothetical gameplay mode type questions. Let’s say I’m not much into the tactical / operations planning aspects of games. I really just want to play strictly from any individual tankers point-of-view (like Steel Fury). Will the game AI make relevant tactical / operational decisions for other units under my control in relation to my performance in the individual unit I’m in? Now let’s say I like to do both, the tactical / operational planning but also want the ability to jump into any friendly tank in my command and play any crew able positions of those individual tanks. Could I do that? And lastly let’s say I have no interest in playing from the tankers point-of-view and really only want to play from the tactical / operational aspect in a “Gods Eye” view (like Achtung Panzer), will this be possible also? Vladimir: AI is able to manage battle actions on its own. It is enough for the player to give it initial orders (before the battle), or just turn the AI’s self-dependence mode on. Then the player will just need to manage his direct subordinates (these are usually tanks of the platoon or company, and leave the rest of the units independent both during the operational (strategic) phase and right during the battle. Flying is not possible in the “Gods Eye” mode. This is a tank simulator after all. Still, there will be an external camera and the player will be able to change his seat to another seat anytime to any tank of his platoon / company that are taking place in a battle. Robert: What are some of the new features you are adding to Steel Armor: Blaze of War? Operational mode where a player moves his troops on the global map, plans his battles, replaces and repairs his machines after the battle. At the same time, a player can maneuver and concentrate his troops before and during the course of the battle. Large highly detailed landscapes with high quantity of objects. Full destructibility of objects and terra-morphing. Improved motion of the models, equipment failures and damage models. New AI that is going to independently make decisions both on operational and tactical levels. One of the other new features we are excited about for Steel Armor: Blaze of War is the damage, destruction, shell holes, and remains of the damaged armor are saved during the course of the operation. Each time the fighting line crosses the area of a previous battle, the game does not start over from scratch, all of the destruction from previous battle stays in place. We feel this feature will add tremendously to the immersion factor for the player. Robert: Will all game updates also be available to non-RU owners of Steel Armor: Blaze of War? Vladimir: Yes, they sure will. Robert: Will the non-RU community be able to create mods for Steel Armor: Blaze of War? Vladimir: Yes, the game engine supports mods and contains detailed manuals for their creation. Also there will be an editor for quick battles and more detailed operations (campaigns). 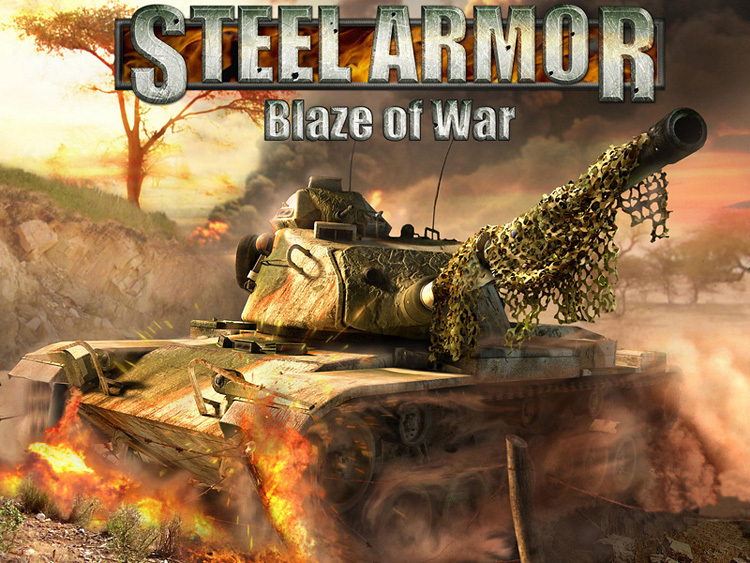 Robert: Which of the new features in Steel Armor: Blaze of War is the most interesting to you and your team? Vladimir: To our mind, the two most remarkable differences from Steel Fury: Kharkov 1942 is the presence of the strategic mode and the strongly improved detail of the mechanized units and landscapes. Robert: How close is Steel Armor: Blaze of War to representing real historical battles? Vladimir: We have been using a great number of historical documents while developing the game. We tried to get as close to reality as we could, especially when reconstructing the landscapes, troops taking part in the battles, appearance and characteristics of the machines and equipment. Robert: There is a quick battle mode in the game, how many machines can take part in the battle simultaneously? Vladimir: Up to 9 platoons together with reinforcements. Robert: On the subject of the 9 platoons and their reinforcements, can the player decide what type of units are in their platoons and what is available in reinforcements? Or is this predetermined by the game in relation to what was historically in a platoon and available reinforcements to the side you’re playing for? Vladimir: Some initial allocation of forces will be set in the scenery of the operation. Still, before starting the operation player does have an opportunity to change part of the technics and divisions upon their discretion — both in his own divisions and in those of the allies. Of course, you won’t be able to change a platoon commander for a tank, but you can make a tank support a motorized infantry group. Part of the platoons stay reserved and is available to the player’s control in some time. These are often infantry support, repair brigades, and supply teams. The enemy AI works the same way. 9 platoons with reinforcements is the maximum power that can be met in a battle. The overall amount of power in an operation is only limited with space on the map. A promotional video showing the work-in-progress for Steel Armor: Blaze of War from May 2011. Robert: Which audience is Steel Armor: Blaze of War aimed at? Vladimir: Our audience is, first of all, those people interested in armored warfare and general military subjects, in war games and mechanized simulators. Robert: Is there a possibility of porting Steel Armor: Blaze of War to other platforms besides the PC? Vladimir: There is no such possibility right now and we are not planning it for anytime soon. Robert: Will Steel Armor: Blaze of War have multiplayer? Vladimir: Yes, we are working very hard on this. Please understand this is all new territory for us in relation to implementing multiplayer into one of our games. The work is not going as fast as we were planning, but I am confident in the end the multiplayer element in Steel Armor: Blaze of War will add an exciting new facet to the game.